In a day that starts with amnesia, mysterious old men, and a scrawled, barely-legible note that says only "DON'T TRUST HIM", follow Tom as he tries to piece together not only his memories of the day before, but the answer to the question... what happens when you never let go of the ones you love? It's a story that he hasn't told anyone for fifty years. A secret that he's kept ever since he grew tired of the disbelieving faces and doctors' reports advising medication. He's been careful. He hasn't even touched a single drop of booze since that one, fateful evening. This is why his decision on this day - the decision to have three drinks - will change the life of bright young waitress Lisa Willoughby forever. For today, the Man on Table Ten has decided that he wants to share his incredible tale. Lisa's been around old drunks before. She's heard her fair share of unlikely urban legends and creepy stories; tall bar room tales of science fiction that made her roll her eyes while wearing a plastered-on smile. But today is different. The Man on Table Ten is different. True, this mysterious stranger's story of psychic abilities and supernatural creatures is straight out of The Twilight Zone... but there is something about his impossibly blue eyes that Lisa just cannot ignore. This was the first story I read by this author and it left me with a sick feeling in my stomach, just wondering, "What if..." The queasy feeling came from knowing that if it was a true story (which it hopefully isn't), there would be absolutely nothing I could do about it. It's like people who are afraid of flying and would rather drive, even though there is a much greater chance of death while driving. People don't like the sense of not being in control that flying brings and that is exactly what this story makes you think about--not really being in control of your life. The story itself is very eerie and and disturbing. As mentioned above, it makes you think about fate and destiny and who or what is really in control of our lives. You feel for The Man on Table Ten and what he has lived through, but you also worry about him--a lot. The waitress in the story is really a stand-in for the reader. She learns the story as we learn it and my emotions were pretty much the same as hers as she listened to the man. "Is this man crazy?" "Is he telling the truth?" "Do I really want to know?" What a treat! A short story that delights without beating you over the head with messages. Just sit back and enjoy this one. Very enjoyable story and narration. Kept me sane on my commute. Looking forward to more! The Man at Table Ten is a fantastic short story by a very talented author. 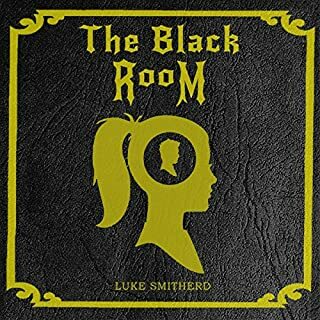 Luke Smithered seems to have a talent for inspiring a kind of optimistic nihilism in the reader by putting mostly ordinary people directly in the path of unfathomable horror. 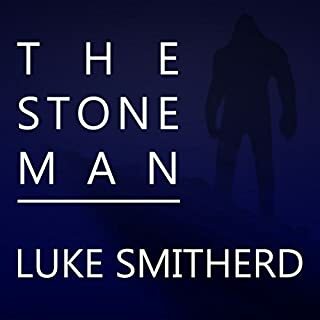 Check out his novel, The Stone Man, if you enjoy this story. 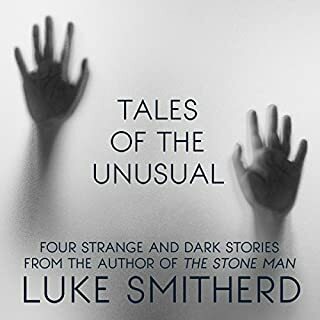 I always appreciate it when an author narrates their own works, and other than a few minor hiccups with the editing, Smithered does a great job. Didn't know what to expect from this, but after listening to a couple of epic length novels, I rather fancied something shorter and without a ridiculous number of character names to remember. This fitted the bill perfectly. A couple of small errors, in the recording, led to two sentences being repeated (I didn't note the times though, sorry). Nevertheless, they didn't spoil the story for me. Would listen to more by this author / narrator. Despite being short it is filled with things that make you think. 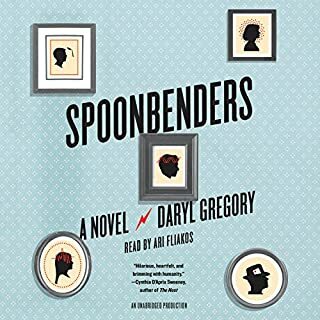 I really like books that make you reflect on the characters and events that happen and how you might deal with that situation if you were in it. This is one that had me thinking about it for ages! What was one of the most memorable moments of The Man on Table Ten? When it dawns on you partway through his story why he was acting so strangely at the beginning and realising how he must have been feeling. I really like it when authors narrate their own books, you then know how things are supposed to be said or expressed that can be ambiguous in the text. You get much more of a feel of exactly how the author imagined it and how they intended it to be understood. I also think Luke is a great narrator, he has a really nice tone of voice for it. 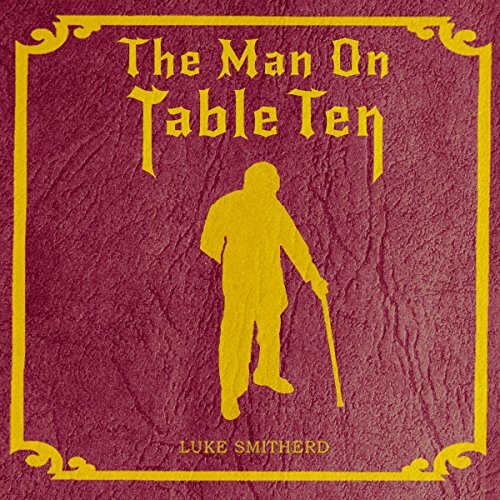 Would you consider the audio edition of The Man on Table Ten to be better than the print version? Which character – as performed by Luke Smitherd – was your favourite? It was sad to reflet on the life led by the man knowing the responsibilities that he had. 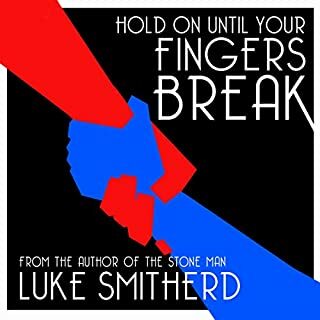 Having listened to another of the author books, The Stone Man and enjoyed it, i decided to give this short story a go. I found this book to be again, well written and well thought out. 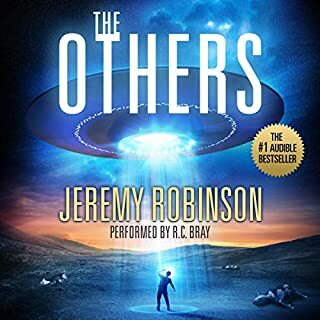 The Narration by the author was very good, and i particularly liked the ending, I highly recommend this to anyone who has a fondness for something off kilter. Really interesting story although read very quickly. It had a good flow and kept my attention throughout. The protagonist has life changing experience and shares this event and his subsequent adaptations to his life. It reminded me that everyday is special, unique and to be celebrated. That ultimately we have little actual effect upon our life path so live each moment while you can.